Although depression is one of the most prevalent mental illness in the United States, only about one-third of the people suffering from depression seek professional help. Perhaps, people with depression feel that their illness is not severe enough for a visit to a Psychiatrist’s office. People may also feel guilty or ashamed that they are struggling with feelings of depression. In order to find a remedy to their problem, people may start to self-medicate with chemical substances. Many patients who are diagnosed with depression, bipolar disorder or another mental illness also were living with untreated drug or alcohol problems. The presence in individuals of both substance abuse activities and mental health conditions like depression is known as a co-occurring disorder. Co-occurring disorders (also known as dual diagnosis) is when someone simultaneously experiences a mental illness and a substance use disorder. People experiencing mental health conditions may turn to alcohol or other drugs as a form of self-medication in order to improve the mental health symptoms they are experiencing. However, the use drugs and alcohol will only worsen the symptoms of mental illnesses while possibly creating an addiction. Over 20 million adults in the United States have experienced a substance use disorder. Out of this number, 50.5 percent or 10.2 million adults also have a co-occurring mental illness. If these conditions are left untreated, they create a serious threat to an individual’s quality of life. These threats include the increased risk of family problems, numerous hospitalizations, unemployment, homelessness and even death. Symptoms can vary widely but alcohol and drug screening tools do exist that can help to identify people at risk for drug and alcohol abuse. Some people who suffer from social anxiety, stress and depression may start using drugs in an attempt to feel less anxious. 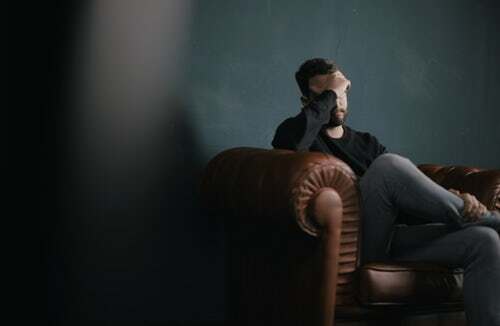 This stress can play a major role in starting and continuing drug use, as well as any drug use relapses in patients recovering from addiction. Developing a high tolerance and withdrawal symptoms. Feeling like you need a drug to be able to function. People should seek help from a trained mental health professional if they are unsure of whether they, or a loved one, is suffering from co-occurring disorders. How Does Depression Affect Addiction? The existence of depression and addiction are two mental health conditions that actually reinforce each other. People struggling with depression may turn to drugs and alcohol in order to help them feel happy and normal. However, most of these substances are actually doing the exact opposite. Depression can make the symptoms of addiction drastically worse for an individual. For example, drinking may make people feel momentarily relaxed and happy. But as the alcohol enters the brain, it will slow down activity and make users feel lethargic and depressed. The same effect also occurs when people use opioids, including heroin, benzodiazepines and barbiturates. Stimulants like cocaine will create a high that is followed by feelings of power, self-confidence and increased energy. In contrast, the euphoria caused by opioids such as heroin is followed by feelings of relaxation and satisfaction. However, when the effects of the drugs wear off, people will once again feel depressed. This will encourage them to continue to self-medicate and increasingly reach for drugs or alcohol to cope with their mental health condition. But, in the long-run, these actions that will cause both health conditions to worsen. There may also exist feelings of shame in the person suffering from co-occurring mental health disorders. There is still a stigma in U.S. society that causes some people to see addiction as a moral weakness or failing. The perceived shame of having an addiction work to reinforce feelings hopelessness and depression. In fact, the risk of depression is still prevalent even for those in addiction recovery, with depression existing as one of the more common relapse triggers. Although it is not always evident whether depression or addiction occurred first in an individual, the outcome is devastating on people’s lives. When these two mental illnesses are simultaneously present in people, the conditions will feed off each other and create a dangerous situation. Self-medicating with substances is a common behavior among those with depression. Overtime self-medicating behavior can easily spiral into addiction. The symptoms of depression make it not surprising that people suffering from this health condition will often use drugs or alcohol to self-medicate or numb the side effects of their mental illness. The best treatment for a dual diagnosis of depression and addiction is an integrated intervention. In this way, individuals can receive care for both their diagnosed depression as well as the substance abuse. In order to accomplish this task, people need to reach out to a trained and experienced mental health professional. The successful treatment of depression and addiction is one of the specialties at Emerald Psychiatry & TMS Center. Their psychiatry practice is focused on providing experienced and professional therapies for addiction recovery. They understand that they are here to serve the needs and concerns of their patients. By forming a trusting partnership with their patients, Emerald Psychiatry generates a comprehensive treatment plan that is customized to an individual’s needs. Emerald Psychiatry & TMS Center is proud to provide behavioral and mental health services for residents of Central Ohio. For more information about treatments and services, contact them.